The uproar is deafening in the wake of White House press secretary Sean Spicer's hint Thursday that Trump could crack down on legal weed, Virginia's governor signs a needle exchange bill into law, the Arizona House unanimously passes asset forfeiture reform, and more. Marijuana Industry, Advocates React to Spicer Threat. White House press secretary Sean Spicer's statement Thursday that he expects the Justice Department to crack down on recreational marijuana in states where it is legal has excited a firestorm in the industry and among advocates. "To have Mr. Spicer say in one sentence that they're a states' rights administration and in the very next sentence say they're going to crack down... it just defies logic," said Robert Capecchi, director of federal policies for the Marijuana Policy Project, an organization that lobbies for pot-friendly changes to drug-related legislation. Click on the link for more reaction. North Carolina Medical Marijuana Bill Filed. House Democrats Wednesday introduced House Bill 185, a full-fledged medical marijuana bill that contains generous provisions on the amount of marijuana patients may possess (up to 24 ounces or "an adequate supply" as determined by a physician) and grow (up to 250 square feet of canopy), as well as providing for caregivers and establishing a system of dispensaries and commercial medical grows. Similar bills died in the 2015-2016 session, with one issued an "unfavorable report," meaning its subject matter could not be considered by the House for two years. Arizona House Unanimously Passes Asset Forfeiture Reform Bill. The House voted unanimously Thursday to approve House Bill 2477, which sets a higher evidentiary standard for prosecutors to overcome before they can seize cash or property under civil asset forfeiture. Currently, prosecutors need prove only "a preponderance of the evidence," but under this bill, they would have to provide "clear and convincing evidence" the property or cash was linked to a crime. The bill doesn't abolish civil asset forfeiture, but does tighten it. It would also bar prosecutors from doing an end-run around state laws by passing cases off to the feds. The bill now heads to the Senate. 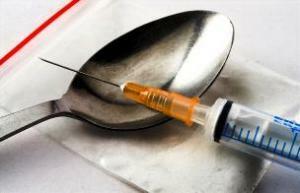 Virginia Governor Signs Needle Exchange Bill. Gov. Terry McAuliffe (D) has signed into law House Bill 2317, which authorizes the state health commissioner to establish and operate needle exchange programs after declaring a public health emergency. Health Commissioner Dr. Marissa Levine and Gov. McAuliffe declared that emergency last year. Bolivian Congress Approves Near Doubling of Legal Coca Cultivation.The lower house approved a bill Thursday that would nearly double the amount of land allowed for legal coca cultivation, and the Senate approved it Friday. The bill would allow farmers to plant up to about 50,000 acres with coca, up dramatically from the 30,000 acres currently allowed. Even that new, higher limit was too much for some coca farmers, who want no limits, and clashed violently with police earlier this week.